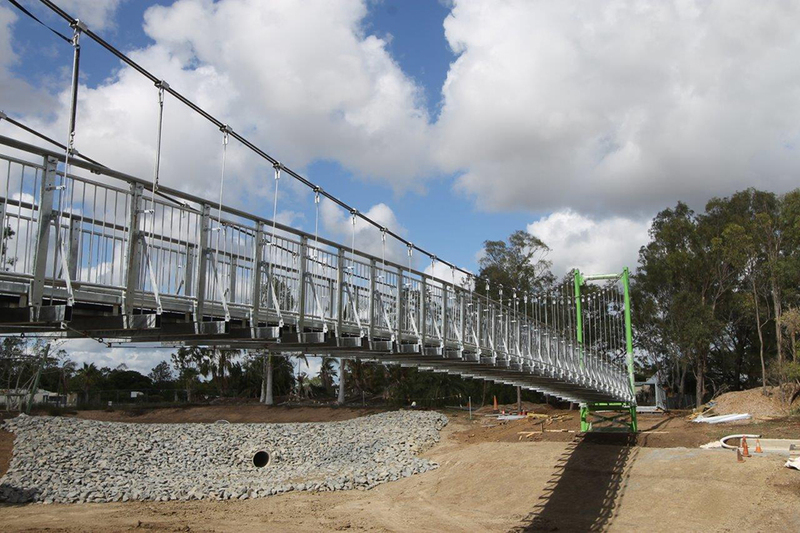 Hot off the press…Moodie Outdoor Products has recently completed the installation of a Cable Bridge in Rockhampton, QLD. The bridge has a clear span of 43m and is 1.5m wide. The bridge features FRP decking and hot dip galvanised supporting structures. The main portal uprights have been painted to add a different look. The surrounding landscaping is yet to be completed….when it is the bridge is going to look even better! Contact Us today if you would like to find out more. This entry was posted in Blog and tagged Cable Bridge.